There’s no denying it: the retail industry is changing. In fact, some experts claim that retail – or, more accurately, traditional brick and mortar retail – is dying. And in the face of falling profits, store closings and bankruptcies, it may seem as if that’s the case. But retail can’t – and won’t – ever really die. It will, however, continue to change at a fairly rapid pace, as it’s done in recent years. Retailers will need to be agile and adapt to the ever-evolving landscape. In a recent Forbes article, one expert details how to do just that. Retailers should continually look around their store (both physical and digital) as if they’re seeing it for the first time, and ask questions about every aspect of the store. This holds especially true for department stores. Could product placement be more customer-friendly? Could the website be simplified? Do products appeal to our specific audience? Do the categories make sense? Are our point of sale systems up-to-date and easy to use? Does our branding make sense? 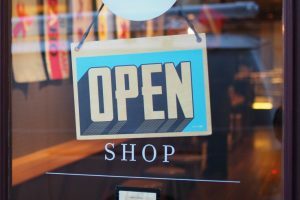 By asking questions about every aspect of the business – and not being afraid of the answers – retailers can find ways to improve the shopping experience – and the bottom line. Today’s consumers want shopping to be exciting. They want new technology and smart design. To attract and keep these shoppers engaged, many retailers are creating unique and exciting experiences. It can be as simple as continually changing store design or making each room, category or collection unique from one another. Technology is the key here – that will make stores seem exciting, fresh and relevant to younger shoppers. Retailers have long focused on storytelling, but retail industry experts advise a shift in thinking about this important branding tool. Instead of telling a story about the past or present, craft a narrative about the future. Think of your store, brand and customer as constantly evolving in response to the changing world, and allow your narrative to change right along with it. If your retail store is in need of a refresh, your point of sale (PoS) systems are an easy place to start. Retail Tech carries a wide variety of new and refurbished hardware solutions and parts. We offer integration and staging, repairs, trade-ins and disposal. Not sure what you need? Contact our Minneapolis PoS systems specialists for help finding the perfect solution for your business.